Drizzle melted chocolate inside glass and let solidify. Dip the rim in more chocolate and then coat in crushed graham crackers. Set aside in refrigerator while making the shake. Blend yogurt, ice cream, 3 toasted marshmallows, FlavaMix® and frozen banana in a high speed blender until thick and creamy. 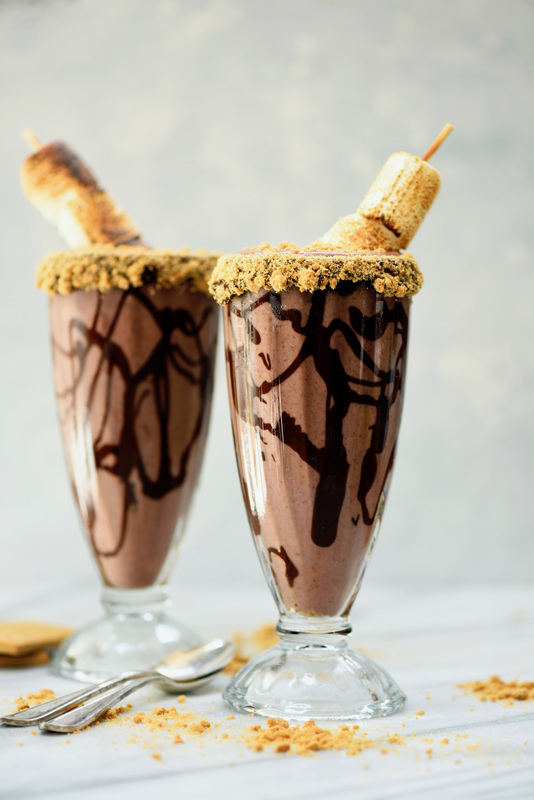 Pour into glass and top with remaining toasted marshmallows and crushed graham crackers. Enjoy!